SOME OF the people can be fooled all of the time, and some seem plenty pleased about it when it gives them license to exercise their most malicious impulses. How else to explain the noxious torrent of vitriol, venom and threats trained recently against a popular upper Northwest Washington pizzeria, which has been the subject of ludicrous conspiracy theories alleging that it is the center of a child – abuse racket run by Hillary Clinton and her campaign chairman, John Podesta? 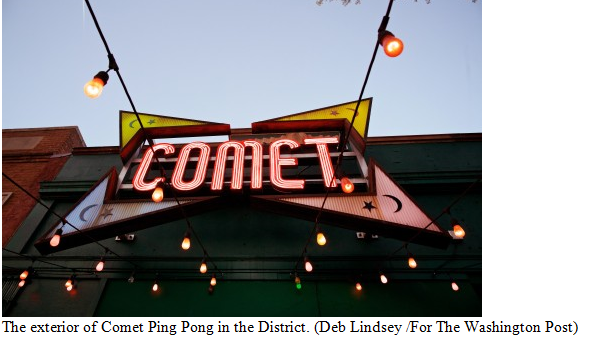 The allegations against Comet Ping Pong, reported by the New York Times, are absurd on their face and detached from any gossamer thread of fact. They took root in the dark crevices of the Web and took flight thanks to social media platforms, whose witless “who, us?” posture in the face of misinformation and outright lunacy is a civic embarrassment. Now, though, I often find myself in these situations picking up my phone to check a notification, browse and read the internet, text, use an app or listen to audio (or, on rare occasions, engage in an old-fashioned “telephone call”). The last remaining place I’m guaranteed to be alone with my thoughts is in the shower. Neuroplasticity (or the brain’s ability to change) due to technological use is a hot topic. Usually the tone is alarmist, though sometimes it’s optimistic. Take video games: One study revealed improvements in memory and focus for older adults when playing a simple road-racing game. In another study, playing Super Mario 64 was observed to yield increases in gray matter in regions of the brain associated with memory, planning and spatial navigation. But these cognitive abilities are distinct from mentally sequestered rumination. 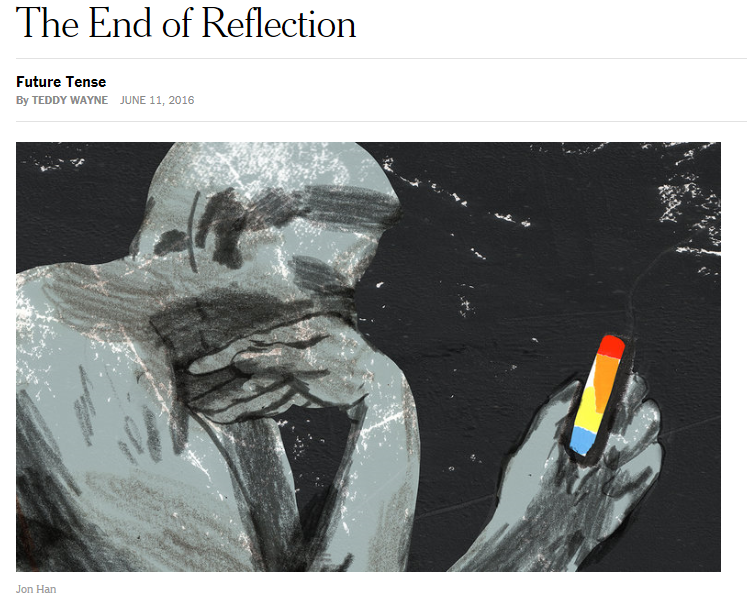 In a world in which a phone or computer is rarely more than arm’s length away, are we eliminating introspection at times that may have formerly been conducive to it? And is the depth of that reflection compromised because we have retrained ourselves to seek out the immediate gratification of external stimuli? A few neuroscientific studies reveal the extent to which we are dependent on our electronic devices and suggest how, in doing so, we may be impairing our reflective abilities. A 2015 paper in the journal PLOS One measured smartphone use via an app from participants ages 18 to 33 and also asked them to report their estimates. If you are awake for 16 hours, turning on or checking your phone 85 times means doing so about once every 11 minutes (and doesn’t account for internet use on a computer), and 5.05 hours is over 30 percent of the day. What might be the effect on reflection of this compulsive behavior? It is therefore “a reasonable conjecture,” Dr. Fleming said, if we think of navigating the world — physically, as a flâneur might, or mentally, when pondering something — as a “first task” and looking at one’s phone as a “second task,” that the latter hinders our capacity to reflect. It seems counterintuitive to say that we are entering an unreflective cultural phase, as our time tends to be criticized for its self-absorption. But our solipsism is frequently given outward expression rather than inward exploration, with more emphasis than ever before on images. When there is text, new media such as Instagram commonly sideline the role of language. The selfie is too easy a fish to shoot in this particular barrel, but consider the tweet, its name phonically close to “thought.” Its brevity is the perfect length for an aphorism and little more (unless someone rattles off a sequence of tweets). For a certain percentage of the population, the thoughts that they may have kept private in a pre-smartphone age — letting them marinate and perhaps deepen till they could no longer be articulated in fewer than 140 characters — are now ejected into a public forum. Moreover, the internet typically rewards speed over all else, a quality at odds with deliberative thought — and our appetite for velocity is only increasing as data transfer rates improve. In 2006, Forrester Research found that online shoppers expected web pages to load in under four seconds. Three years later, the number was shaved to two seconds; slower web pages led many shoppers to look elsewhere. By 2012, Google engineers had discovered that when results take longer than two-fifths of a second to appear, people search less, and lagging just one quarter of a second behind a rival site can drive users away. Mr. Carr observed that, for decades, Rodin’s 1902 sculpture “The Thinker” epitomized the highest form of contemplation: a figure with an imposing physique staring abstractly downward, hunched over to block out distraction, frozen because it’s a statue, of course, but also because deep thinkers need time and don’t fidget. It’s hard to imagine a postmodern update called “The Tweeter” being quite so inspirational. 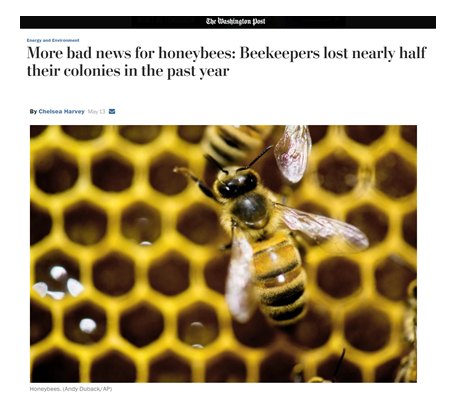 Bee colony collapse is a major issue that society should be concerned about and focused on. Feeling inspired by these great organizations that are working to help our world. So many people shared their enthusiasm at seeing a KIND cameo in the Amazon press conference that I also wanted to share. Congratulations to Amazon on the exciting launch of the Fire Phone! 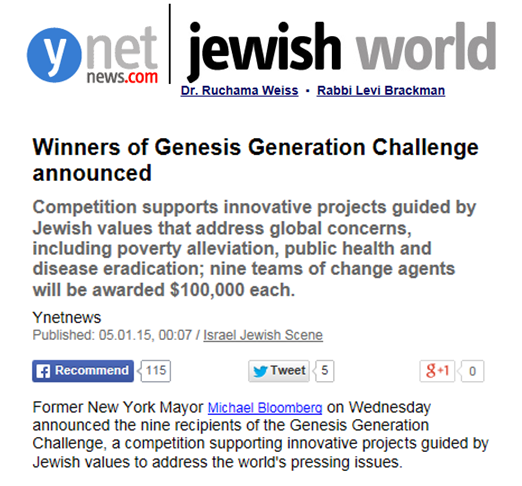 We are honored to be a part of the demonstration of this innovative new technology! Jeff and Amazon are such great partners, and we are proud to work with them. 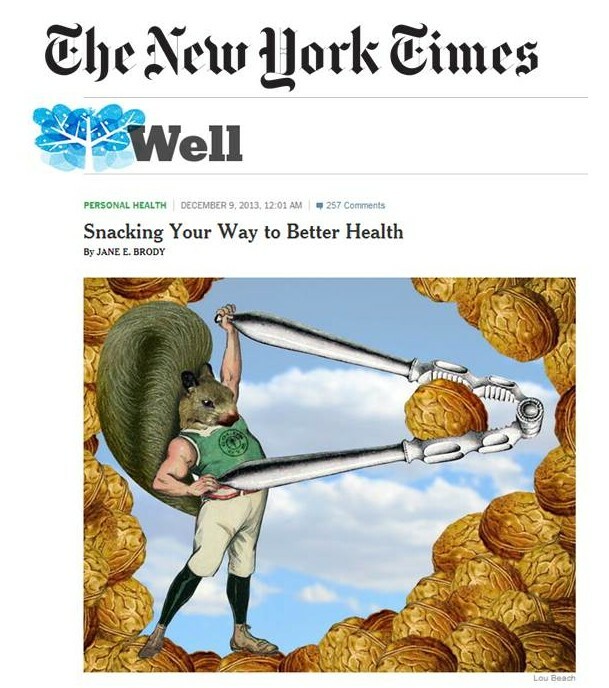 It seems as though scientists are discovering new benefits of eating nuts every day — weight maintenance and reduced risk of disease. 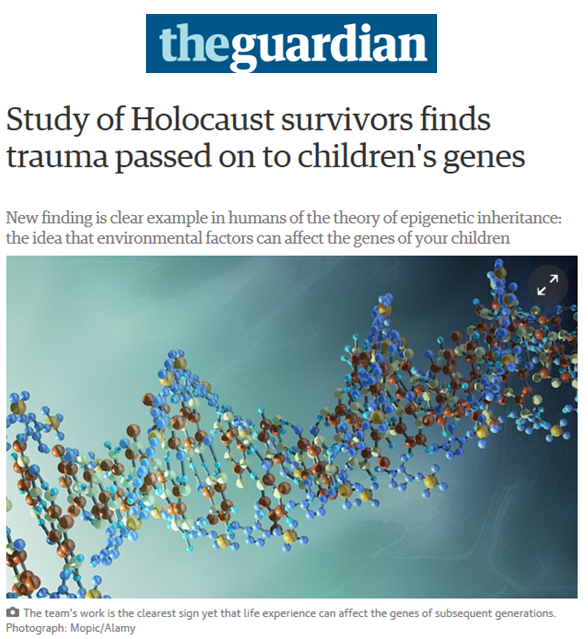 The excerpts below share some of the latest discoveries. 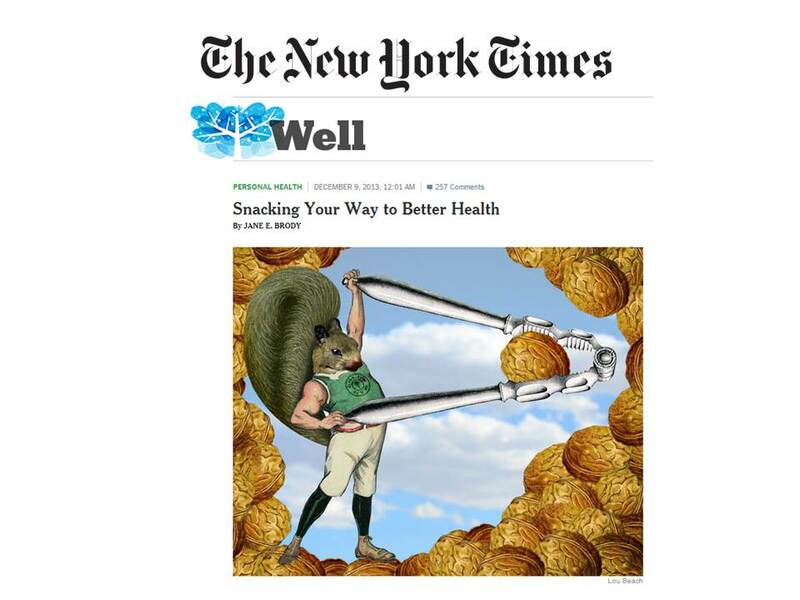 “Consistent evidence for the health benefits of nuts has been accumulating since the early 1990s. Frequent nut consumption has been linked to a reduced risk of major chronic diseases, including heart and blood vessel disorders and Type 2 diabetes. 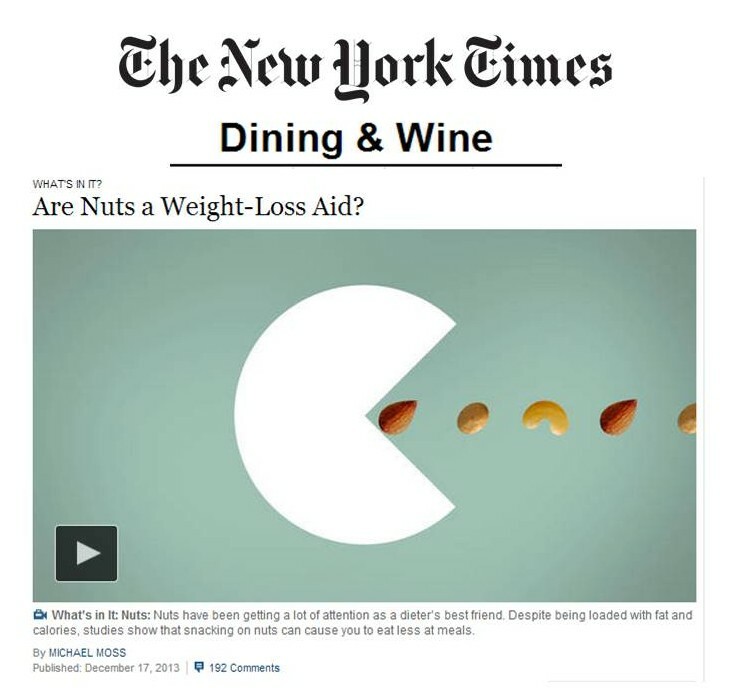 “The reports about their many benefits have come thick and fast: studies finding that people who eat nuts (tree nuts like cashews, almonds and pistachios, along with their legume pal, the peanut) live longer and healthier lives, with less risk of chronic ailments like heart disease, respiratory problems and Type 2 diabetes.